One of the main objectives of HEAL is to educate you on simple choices you can make every day to improve your health. I talk a lot about fruits, veggies, and healthy fats, but I think I owe a bit more time to the protein side (in this case meat), so you can make the healthiest, most informed purchasing decisions. Chicken is a staple in the North American diet. It’s a lean protein, and relatively affordable as meat goes. Not all chicken is created equal though. You have maybe heard of antibiotics being in meat? I remember how shocked I was to learn there were antibiotics in chicken feed. 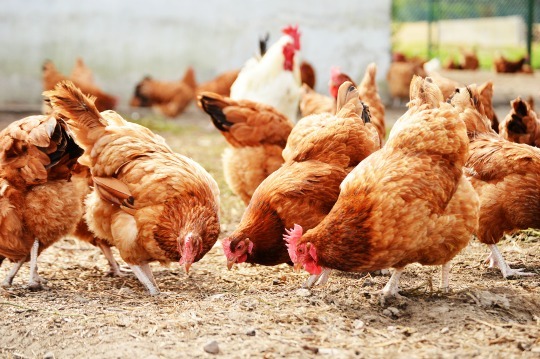 In certain cases, penicillin is actually drip fed into the water that the chickens consume. Now, from a human perspective, we’re given antibiotics, like penicillin, when we’re sick. It begs the question, are chickens permanently sick? Well, basically the antibiotics are to prevent the illness they are sure to contract because of the horrific conditions they live in (no daylight, no space, cages, etc). The chickens need the penicillin in their diet because they live in such close quarters that they would become sick from the feces they are ‘nesting’ in. Imagine having your child on ‘permanent’ penicillin?! Don’t be fooled as this can even be the case with ‘free run’ as free run simply means no cages. Chickens are also often fed animal bi-products, even though this is not their natural food source. For more on this, I highly reco the documentary Food Inc. The beef typically available for sale is from cattle that are grain-fed feed including soy, corn and other items not natural to their diet. This leads the cow to have a poor fat profile that is higher in Omega 6s, which North Americans already get too much of, and lower in Omega 3s, which we don’t get enough of. (More on that here). Beef cattle are also fed growth hormones so they can produce that massive piece of steak we order at the Keg. Studies show that these hormones in meat can disrupt human hormones as it throws off our natural balance. They are also thought to be a factor in children entering early puberty. The UK has even banned growth hormone use in its cattle production. I’ve been purchasing Blue Goose Pure Foods meat products for a while now, as they’re available in Loblaws and Sobeys. Blue Goose offers a range of humanely raised meats (some organic, some not), and what’s pretty awesome is they offer affordable products. They’re entire mission is to make better quality meat available to the masses. Who isn’t on board with that? Their chickens are raised and fed naturally, exposed to natural light cycles, natural sunlight and fed NO antibiotics, steroids or pesticides. They are fed entirely vegetable fed diets, with some being certified organic. Their beef is organic and their cows roam/graze how they would if left to their own devices. If you don’t live in one of these areas, what I recommend is that you look for ‘humanely’ raised meats, including grass fed, organic beef, and organic chickens. In terms of fish, you either want wild fish, or humanely raised farmed fish. 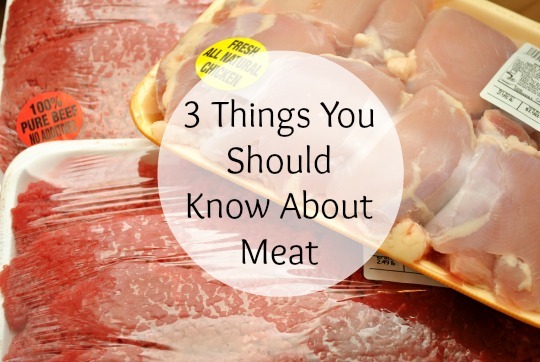 Chances are that a local butcher will understand where their meat is. Lastly, if I haven’t convinced you yet, what you should also know is that quality meat TASTES BETTER! I remember my boyfriend’s first introduction to grass fed beef, and he was shocked at the difference in taste & quality. I plan to grill him up some of the new Blue Goose 100% Beef Burgers that I have waiting in the freezer soon! Do you have a chicken or beef recipe you think HEALers would love to read? Share it in the comments below and I’ll post it on the blog soon!